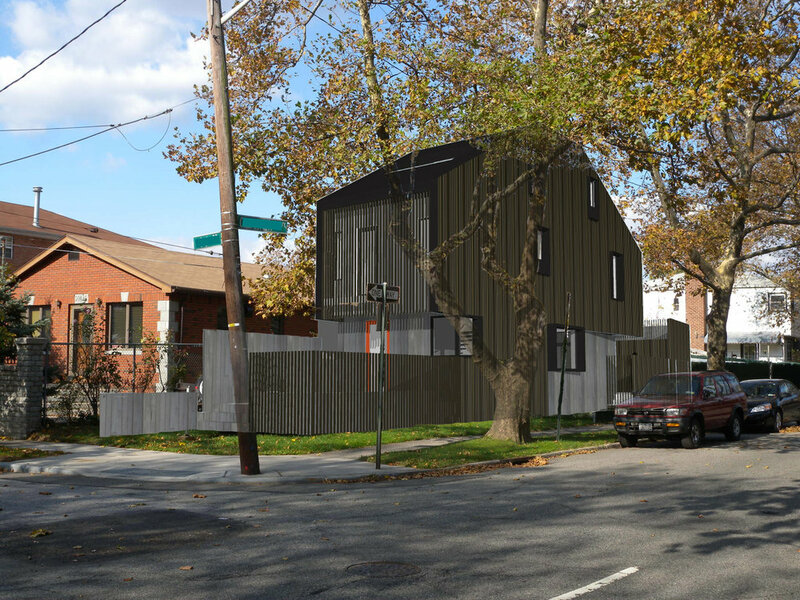 Small House is a design of a single family house on a very challenging corner irregular lot. As a result of the site limitations the building adheres very closely to the zoning envelope. The living/dining/kitchen space on the ground floor is open without dividing walls and faces a private patio located between the rear and the garage. The second floor has two bedrooms and baths and the the attic level another bedroom and bath. On this level opens up to a private a private patio carved out of the roof area. The structure is clad with darkened cedar siding with large glazing used behind vertical louvered screens at the front and rear facade to create a sense of privacy as a result of the corner site location. George Architect PLLC. All rights reserved.